One of the coolest and increasingly essential conferences each year is Netroots Nation -- the country's largest annual gathering for progressives, to be held this year in Atlanta on August 10-13th - and through DemList you get a discount! 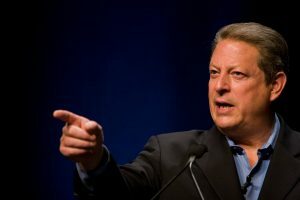 Former Vice President Al Gore will be a featured speaker! Now in its 11th year, the event draws a crowd of 3,000+ activists and organizers, advocacy organizations, unions, media makers and consultants for three days of cutting-edge panels, training sessions, speakers, caucuses, film screenings, networking and inspiration. This year's speakers include include former Vice President Al Gore, Congressmembers Barbara Lee (D-CA), Keith Ellison (D-MN), Mark Pocan (D-WI), Ro Khanna (D-CA), Georgia House Minority Leader and gubernatorial candidate Stacey Abrams, Florida gubernatorial candidate Andrew Gillum, Bernice King, civil rights advocate Kimberlé Crenshaw and more! The agenda includes 80+ panels on every major progressive issue - from current battles to long-term movement strategy. Sessions range from health and sustainability to resistance organizing and local activism, to conversations on what progressives stand for today and the path to building change beyond the next four years. The 60+ trainings, sponsored by the Mozilla Foundation, include digital techniques and technology, communications, fundraising, campaigns, grassroots and online organizing - for all skill levels, to help you take it to the next level. DemList Discount! Use Code: "DemListOff50"
for $50 off your Registration. Click to Sign-Up for the DemDaily Political Column! On to the General Election – less than 100 days away! DemList will be your source for news on the battle for the White House and the races in the states that will make the difference.